Foto tirada da Vista do Rei. 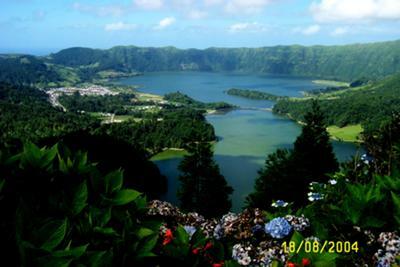 Manuela, thank you for sharing this beautiful picture of Sete Cidades. I love going there and taking in the beautiful scenery. It is a great place to walk around and enjoy the views. And I always stop for lunch in town. We have been to this location on 2 occasions and shall return on our next visit to Sao Miguel. An absolutely beautiful view. Beutiful sight, great picture of a great place.